All the guidebooks seem to agree that Gran Canaria is a continent in miniature. The terrain varies from the verdant north, to the dramatic mountain peaks of the interior, to the dry south. And of course the alternating white, sandy coves and dark cliffs of the coastline. It's not just the terrain that's varied, the best places to stay in Gran Canaria have something to offer travellers searching for their own fresh experiences, as well as package holidaymakers. Capital of the island, Las Palmas is one of the best places to stay on Gran Canaria if you thrive amongst a hive of activity. This lively port city is the seventh largest city in Spain, and it feels like the mainland. But with more North African or Mediterranean colour to it. The older part of town, Vegueta, is where you'll find all the atmosphere. 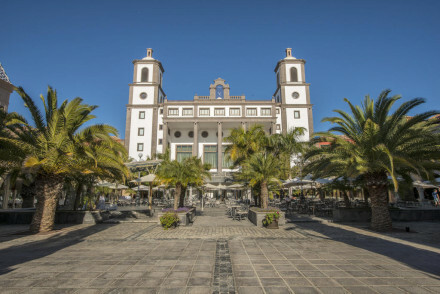 Declared a World Heritage site in 1990, charming Vegueta has the boutique hotels and fashionable bars and restaurants, as well as some of Gran Canaria's most beautiful architecture. Here Thursdays are 'Tapas Evenings', the busiest night of the week. Las Palmas is also a good bet if you're interested in visiting the island's museums and major historic sights. They have the Catedral de Santa Ana, the Columbus Museum, the Atlantic Centre of Modern Art, and the Museo Canario, which is all about the Vegueta area. According to a climate research scientist from the US, Las Palmas also enjoys 'the best climate in the world', with temperatures averaging at 20 degrees even in Winter. If you want the museums, and nightlife, and the weather, and the beach, one of the best places to stay in Gran Canaria is near the 4kms long stretch of clean beach that is Playa de las Canteras. 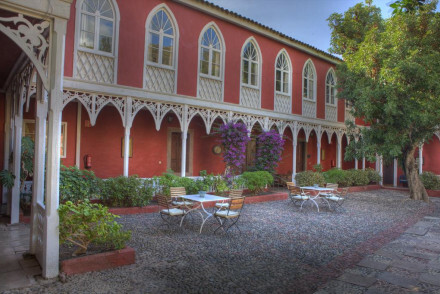 Just south of Las Palmas, Teror is the place to go if you want a picturesque base somewhere a bit quieter than Las Palmas, but you still want to be close to the city's major sights. Teror is busy on Sundays, when there's a big commercial market, and everyone comes in to attend the beautiful, neoclassical Basilica de la Virgen del Pino. But the Saturday farmers' market has a much more welcoming feel. Arucas is where to head if you're looking for somewhere with more of a traditional character. It's in the slower north, so the surrounding countryside is lush, and there are less sights to rush around and visit. Visit the historic Iglesia de San Juan Bautista, situated in the charming town of Arucas, and marvel at its architectural beauty. Whilst Gran Canaria boasts plenty of beaches, the Playa de Maspalomas is a must see. Wander around the impressive sand dunes or relax on the sunbeds soaking up the sun. A trip to the 20-acre Palmitos Park is a great day out for the whole family. It features a botanic garden with a wide variety of flora and over 230 species of birds including parrots, swans and ducks. Meander around the historic centre of Arucas, filled with beautiful traditional houses and oozing character. A relaxing local spot to get away from it all. 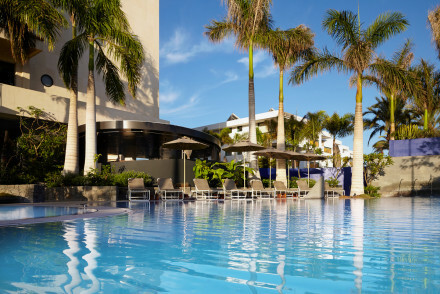 Use our guide to the best places to stay on Gran Canaria and start to plan your trip. 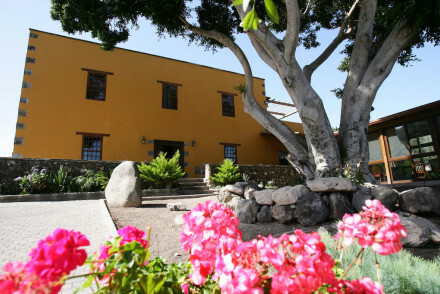 If you're looking for somewhere small and charming, book the Hotel Rural Las Calas. It's rustic and traditional, and the perfect 'escape to the hills'. With plenty of local mountain trails to explore - on foot, on two wheels, or on horseback - this is one of the best places to stay on Gran Canaria if you're planning a sun-drenched outdoorsy break. Fonda de la Tea is a hikers' haven, situated in the mountains and with breathtaking views. Who needs the beach? 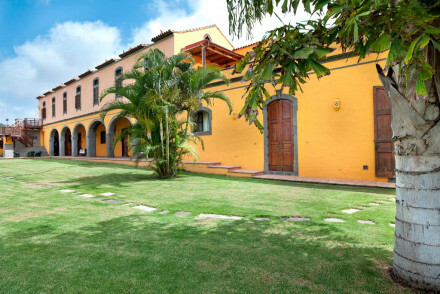 Hotel Escuela Santa Brigida boasts traditional accommodation with antique furnishings, a beautiful garden and is just a short distance away from Bandama Caldera natural park. 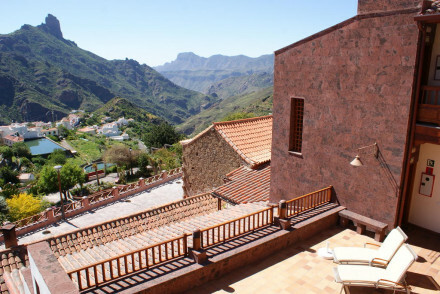 Parador Cruz de Tejeda is surrounded by mountain ranges and offers terrific valley views. WIth chic accommodation and a spa, you'll feel a million miles away from your worries at this spot. Surrounded by 50 hectares of banana trees and with stunning views, La Hacienda del Buen Suceso is a quiet stay. With elegant interiors, shuttered windows, outdoor pool and spa, it's a splendid all-round retreat. Hotel Rural Las Tirajanas is a charming hilltop hotel situated in a wondorous location. It provides characterful and charming rooms full of antiques, whilst there are a number of wonderful walking trails nearby over the surrounding mountains. 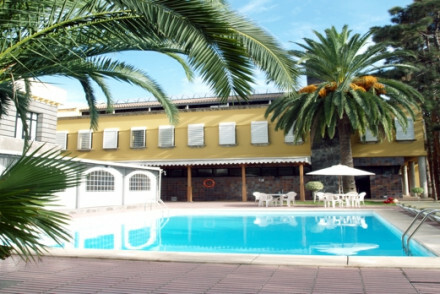 The Hotel el Mondalon is easily one of the best places to stay in Gran Canaria if you're on a budget. Rooms are traditional yet chic and it boasts fitness areas, swimming pool, great restaurant and plenty of family friendly activities. La Casa de Vegueta is a stylish guesthouse close to the beach. But with only three rooms and bargain prices, you'll have to book well in advance! 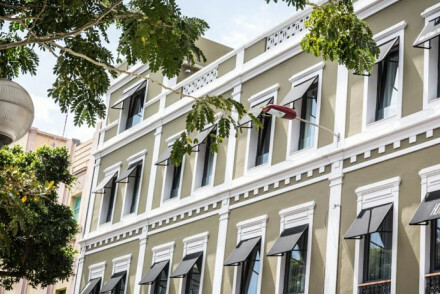 Bed & Chic Las Palmas is located in the heart of the city and offers sleek accommodation at decent value. Relax on the rooftop with a cocktail at sunset! Plus, the beach is just 5 minutes away. 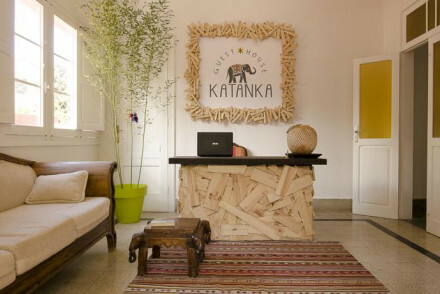 Guesthouse Katanka offers simple yet elegant accommodation in Las Palmas, a short distance from the beach. With tasteful interiors and a great location, it's a super value spot! The rustic Hotel Rural Maipez features chic accommodation, a restaurant and a pool set in a large garden. Plus, rooms start from just £72 a night. Grand Hotel Residencia is one of our few recommendations on the south of the island. Here you will find five star luxury on the beachfront with fantastic sport and spa facilities. Finca Las Longueras is a traditional finca, but only 2km from the beach. Set amid lush green gardens with a pool, and an excellent table d'hote service, this is one of the best places to stay on Gran Canaria who like their beach break to be low key. Bohemia Suites & Spa, set against a rugged rural backdrop and surrounded by the Maspalomas Dunes, is located just 5 minutes from the beach. Spend your days sunbathing by the seaside before unwinding in the spa. 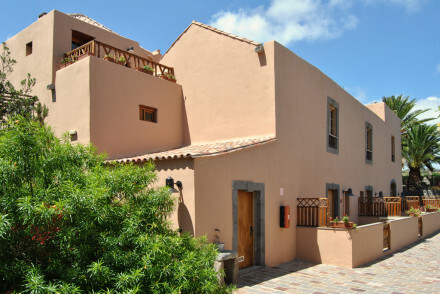 Hotel Santa Catalina offers chic, traditional accommodation featuring sea views from the balconies. This beach resort has all the necessary mod cons and a gourmet restaurant to boot. Lopesan Villa del Conde Resort oozes style and class, boasting a Basque-French restaurant, extensive spa and splendid accommodation. The ultimate 5* seaside resort. 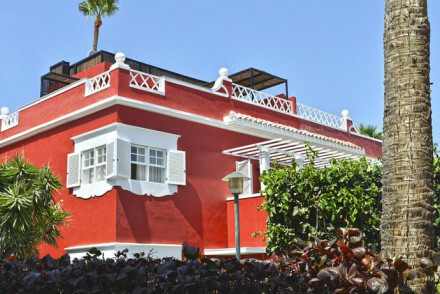 Casa Mozart is set in a typical 20th century Canarian house offering tasteful rooms with simple furnishings. Just a few minutes walk away from the beach and with all the benefits of Las Palmas on your doorstep, it's a top spot. If you feel that a self catering property is what you're lookling for, then we recommend you visit our online partner, booking.com, where you'll find a wide range of options from budget to boutique. With a temperate climate all year round, there's never a bad time to visit Gran Canaria! This does mean however that even the slightly cooler winters are still considered "high season", drawing plenty of tourists from between December and February. Surpisingly enough, May to October is generally a tad quieter. Whilst air fares are cheapest in November and December, the best time weather-wise to visit would be in the summer months with the temperate reaching an average of 23ºC... So it's really up to you! Visitors can fly into Las Palmas de Gran Canaria Airport, four and a half hours away from London and five hours away from Edinburgh. Still not sure which hotel to book? Alternatively, check our full range of properties in the Canary Islands. This small and charming rustic hotel has an essence of the classical and the timeless, with ethnic brushstrokes of far-away cultures. 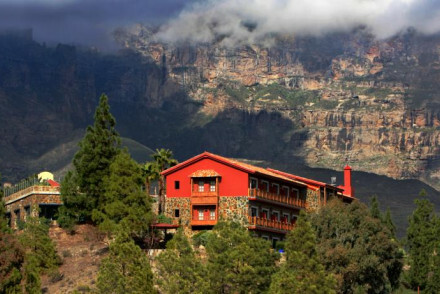 It nestles in the heart of the mountains of Gran Canaria. The perfect spot for taking in breathtaking views and outdoor activities. Rustic hotel in countryside. Rooms have wooden beam ceilings, living areas, exposed brickwork and big bathrooms. Outdoor pool and gardens. Lovely Canarian cuisine in low-key restaurant. Grown-up, authentic and good value. A rural hotel close to natural parks and golf courses. Attractive traditional interiors have antique decorations and serene spaces. Bedrooms have all the mod cons and lilac hues. Beautiful garden, pool, and excellent restaurant. A great choice for peaceful relaxation and local exploring. A hiker's haven set in the mountains with stunning valley views. 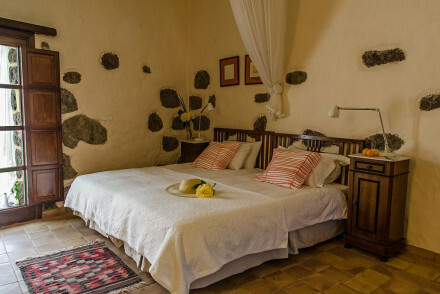 Charming traditional rooms and one villa (sleeps 4) with private balconies. Gorgeous terraces, swimming pool, local restaurant, and plenty of outdoor pursuits and quaint mountain villages to explore. Ideal for families. Families - One house sleeps 4. 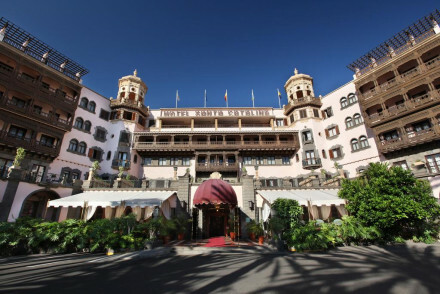 Bed & Chic Las Palmas is an excellent hotel in the heart of Las Palmas de Gran Canaria brimming with style and elegance. The rooms are sleek and spacious with tasteful furnishings and deluxe private bathrooms. Wander down to the famous Las Canteras beach or relax on the rooftop with a cocktail. Value chic - A great value hotel offering chic rooms in a trendy area of Las Palmas de Gran Canaria, just five minutes from the beach! Local markets - Browse the nearby Mercado del Puerto and pick up some souvenirs to bring home with you. Great walks - Beautiful walking along the long, sandy Las Canteras beach. A traditional finca near a natural park with fantastic facilities. Traditional chic rooms, pretty gardens and pool, excellent restaurant, fitness areas, spa therapies, and lots of family oriented activities. A great value spot for families. 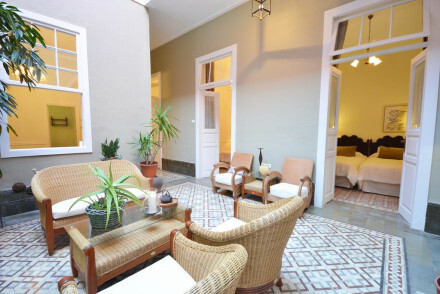 A charming little hotel set in a typical 20th century Canarian house. The rooms carry an understated elegance, with simple furnishings and tasteful decor. Take a day trip to the fascinating prehistoric Cueva Pintada Archaeological Site or simply relax on the beach. A great low-cost option. Value chic - This chic historic property is excellent value for money, with a lovely roof terrace and garden, right on the beach. Sights nearby - Visit the fascinating Cueva Pintada Archaeological Site nearby. Great walks - Go for a beautiful walk near the Bufadero de la Garita. A traditional finca in a rural setting, but close to the beach. A gorgeous red country house with old fashioned, but elegant rooms. Lush green gardens, pool, and an excellent table d'hote. Great value and family friendly. Great walks - Great walking on the doorstep for all abilities. A large hotel surrounded by nature, mountainous ranges, and valley views. Large traditional chic bedrooms and suites with stunning views from private balconies. 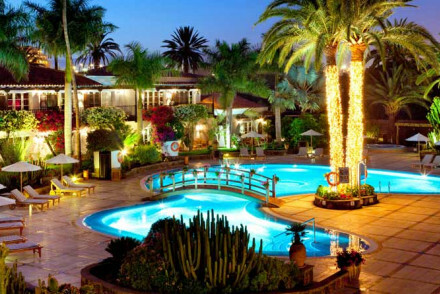 Excellent restaurants, bar, swimming pool, spa, and verdant gardens. A fabulous back to nature experience with excellent facilities. Quiet hacienda amongst banana plantation. Elegant rooms have shuttered windows, beamed ceilings, pretty wallpapers and big bathrooms. Outdoor pool, sun terrace, wrap-around verandah, gym and jacuzzi. Fresh, traditional cuisine in converted barn restaurant. Pretty, authentic, outstanding views. Set against the back drop of Gran Canaria's rugged landscape, surrounded by the Maspalomas sand dunes and overlooking the ocean, Bohemia is a modern, adults only oasis enveloped by nature. Earthy coloured, olive wood rooms & views from private balconies. Plus a spa, two restaurants, bar and pool. Great walks - The rugged landscapes are a haven for hikers. From day trips to overnight stays there is something for every ability. Restrictions on children - Children are not permitted in this hotel. 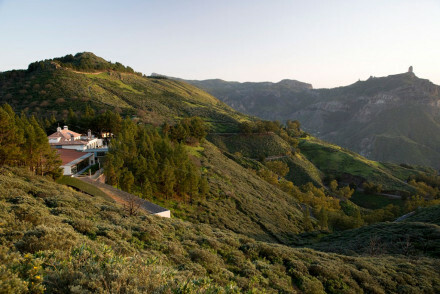 A charming hilltop hotel with stunning views out over the Gran Canarian valleys. The characterful rooms are littered with antiques and quaint touches. The restaurant serves local specialities and boasts amazing views. Bicycles and cars are available to rent for day trips. A hillside gem. Total relaxation - Perfect for a relaxing break, set on a tranquil mountain side, with spectacular views and a deluxe spa. Local exploring - A great base for exploring San Bartolomé de Tirajana and the surrounding mountains. Sights nearby - Rent a bike and visit the fantastic Maspalomas Dunes, not far from the hotel. Great walks - Make the most of the beautiful walking in Palmitos Park. A fantastic beach resort with excellent facilities. Rooms and suites simple in style with all the mod cons and sea views from balconies. Restaurants, swimming pools, spa, gardens and access to the beach. An excellent choice for families, beach goers, or weddings. A beautiful Five Star hotel on the beach front and close to the golf course. Romantic chic bedrooms and suites with four poster beds, soft linens and private balconies. Fantastic sporting and spa facilities; tennis courts, high tech gym, swimming pools. Excellent restaurants and beaches. A magnificent seaside resort exuding an effortless aura of style and class. Luxury at every turn with highlights including its Basque-French restaurant, extensive spa and lively music venue. Relax by the one of lagoon pools or explore the surrounding coastline. Five-star excellence. Families - Perfect for a family holiday, with a kids club, playground, large suites, as well as an extensive spa for mum and dad. Beach Life - Right on the beach, with plenty of spots to splash around, and access to all kinds of watersports. Sights nearby - Visit the nearby Maspalomas Lighthouse a fascinating sight steeped in island history.